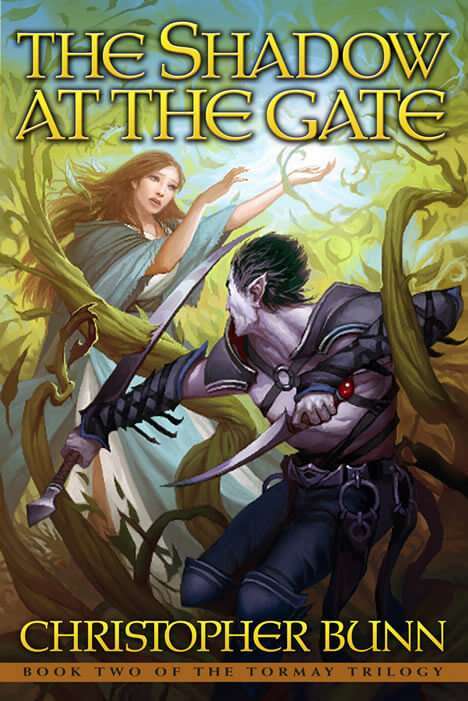 The Shadow at the Gate is the second book in the Tormay Trilogy. It picks up where The Hawk and His Boy leaves off, following the further adventures of the young thief Jute, the assassin Ronan, the mysterious Levoreth Callas, and other characters. The Dark takes a bigger role in this part of the story, infiltrating the city of Hearne in search of Jute. I enjoyed the first book, but Bunn really hits his stride in the second book. The characters all have an added depth, the story is more intricate and refined, the pacing is more fluid, and the experience overall is more enjoyable. The world really opens up in Shadow, with all the secondary details and backstories becoming clearer and more engrossing. I feel like these are the pieces that change a book from a story into a world, from words into feelings. I became personally invested in every major viewpoint character; riding along with their triumphs and tragedies. Good fantasy transports you to its world and makes you feel with greater magnitude than many ‘real’ things do, Shadow accomplishes this without question. I highly recommend reading the Tormay trilogy (though full disclosure I haven’t read the third one yet), plus the 1st book is on Amazon for free so go give it a try!